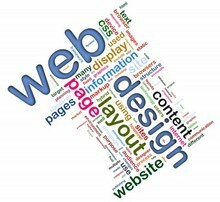 A web presence is increasingly important for any business, small or large. A web search engine is often one of the first places a prospective client will try when looking for goods and services. We have a great deal of experience in providing the right solution for each situation, specialising in serving the needs of small businesses and individuals, particularly the Entreprise Individuelle. We can help with everything from choosing and registering the domain name to publishing and hosting the finished site. Our full web service is available as a complete package for the minimum of effort on your part. However, all the elements of that package are also available à la carte if you want to pick and choose. You can do some parts yourself and leave the rest to us. Have a look at the Custom Site page for details of what's available or Contact us for more specific information. 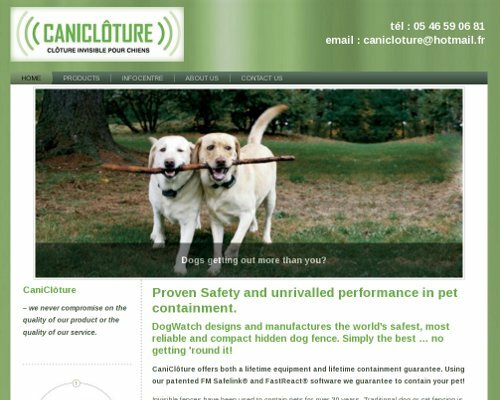 CaniClôture supplies and installs DogWatch world-renowned hidden dog fences throughout France. 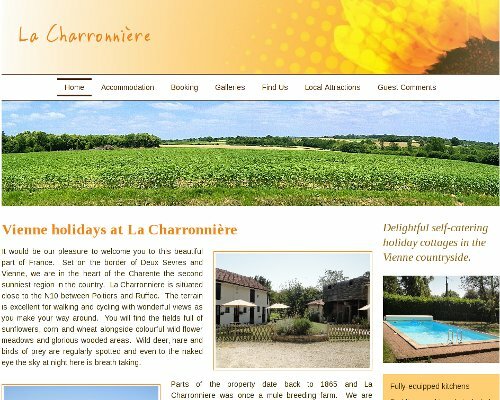 La Charronnière offers gîte holidays in a beautiful countryside setting, fully appointed for singles, couples and small families. 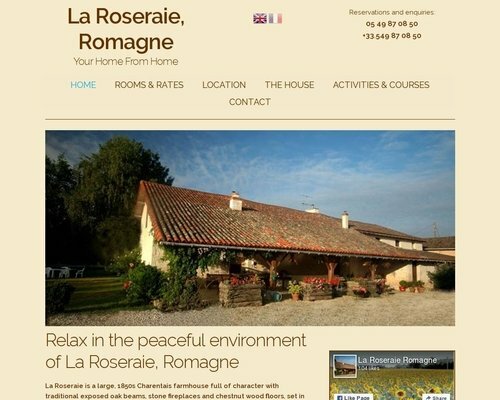 La Roseraie, Romagne offers chambre d'hôte accommodation within a five minute walk of La Vallée des Singes. 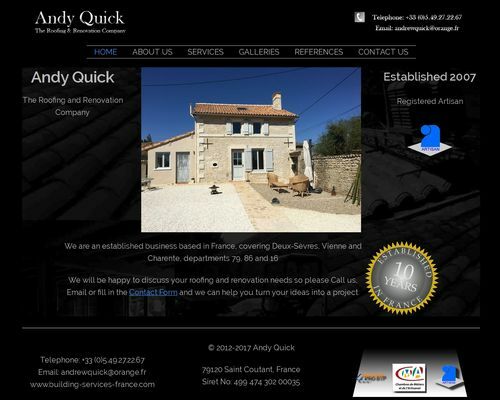 Andy Quick, the roofing and renovation company capable of handling projects large and small. We now offer a full-featured Content Management System installation for all our sites – ask about how being in charge of your own website content can help you keep abreast of everything.